PVC Class 1 Power Cable Duct bends are manufactured by Emtelle from a solid wall duct and provide the ability to change direction and/or depth on a ducted network. The PVC cable duct is also able to meet the termination of the cable at the point of use (Hockey Stick) and manufactured to industry standard ENATS12-24 Class 1. All cable duct bends come with an interference fit socket as standard, with the opposable end being a spigot. Interference ring seal sockets are available in 110mm, 160mm, 200mm & 250mm OD sizes. All the bends for this specific power cable duct are long radius to meet the requirement of LV MV & HV cable protection and are specified to meet EF450-014. It is strongly recommended to check the bend radius of the cable before specifying the bend size. 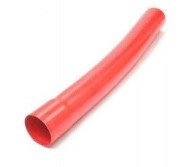 PVC bends are supplied in either non-returnable woven polypropylene sacks which are biodegradable or strapped. The sacks are designed to be stored on an even, dry and stable area – they are not to be stacked upon. Also available with class 2 protection please see PVC Class 2 Power Cable Duct (LINK). Raw materials are PVC resin and other additives suitable for the required properties of the finished product. Standard colours of cable duct are Black & Red. 38mm Hockey Sticks are available in white. Other Non-Standard cable duct bends may be available upon request. 200mm OD sizes and above are designed taking into account safe cable bend radius. Thorne & Derrick distribute a complete range of cable ducts for the protection of Low (LV), Medium (MV) and High (HV) cables. The PVC class 1 power cable duct forms part of Emtelle’s Powerprotect+ duct systems that are now specified for all major DNO’s within UK and Ireland including UK Power Networks, Electricity North West, Northern Powergrid, Western Power Distribution, Scottish Power Electricity Networks, Scottish & Southern Electricity, Electricity Northern Ireland and Electricity Supply Board Ireland. 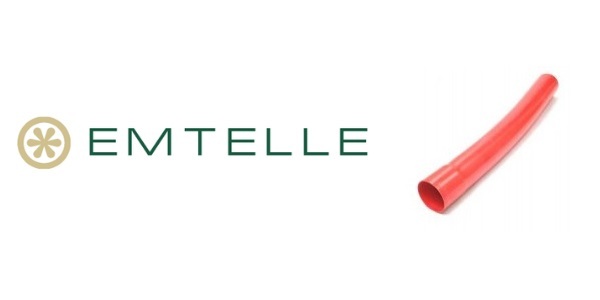 Emtelle cable duct provides underground cable protection to LV-HV cables, including UK DNO approved Class 1 PVC cable duct for 33kV high voltage power cable protection. 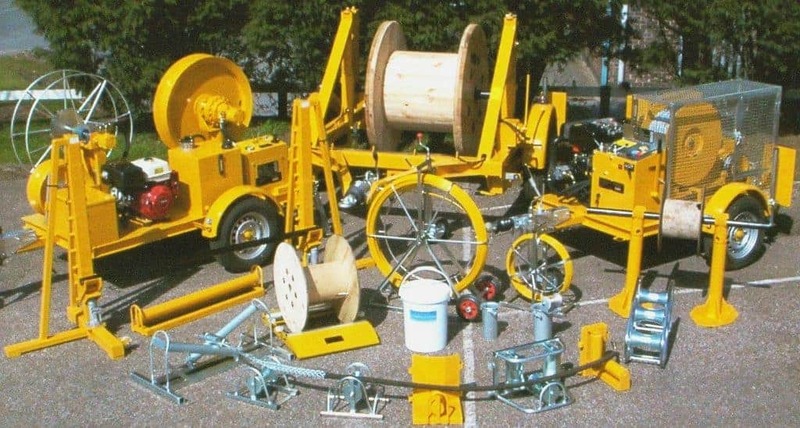 Thorne & Derrick distribute an extensive range of Cable Pulling & Laying Equipment to enable the safe installation of fibre and copper cables within the LV MV HV power and telecommunications industry. Safely installed cables reduce operational and maintenance requirements to the network and reduced service interruption to power and telecom cables, wires, ducts, cabinets and exchanges – products include cable spiking tools, conduit rods, cable lubricant, cable socks and cable rollers for LV, MV (11kV/33kV) and HV (66kV/132kV) cables.